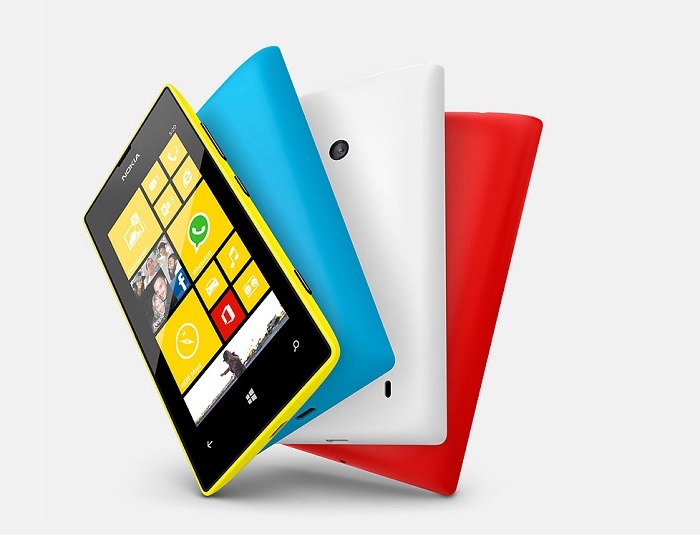 Recently, Nokia unveiled the affordable Nokia Lumia 525, the successor of their insanely popular Nokia Lumia 520. There are no details about the pricing of the Nokia Lumia 525 nor its availability, but if you’re thinking about buying a budget phone in the US, look no further as AT&T is offering an unbeatable price on the best-selling Windows Phone handset. Yes, you can get the Nokia Lumia 520 for just $49 off contract as a part of AT&T’s GoPhone plan, a saving of $50 than its normal price. This is the lowest price we’ve seen for the Nokia Lumia 520, and it’s also available for the same price on the Microsoft Store as well. The promotion is expected to kick off today and will end on December 2nd on AT&T’s website and selected brick-and-mortar stores. Although the AT&T page still shows $99.99 (at the time of writing), the promotion is expected begin in a few hours, hopefully. 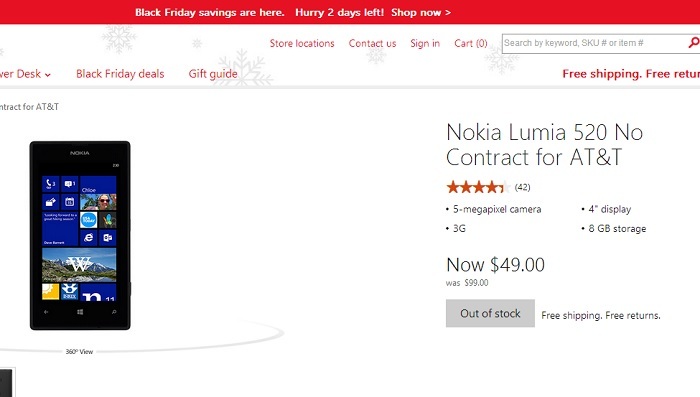 On the other hand, Microsoft Store already lists the AT&T Nokia Lumia 520 for $49.99 without a contract. For $49.99, you’ll get the best-selling Windows Phone 8 handset with a 4-inch display sporting a resolution of 800 x 480 pixels a 1GHz dual-core processor, 512MB RAM , 5MP back shooter, and runs Windows Phone 8 out of the box, and its also upgradable to Lumia Amber update. It’s a pretty attractive deal that will not last very long. So, if you’re looking for a spare phone or just an affordable smartphone, I don’t think you can find anything better than Nokia Lumia 520.